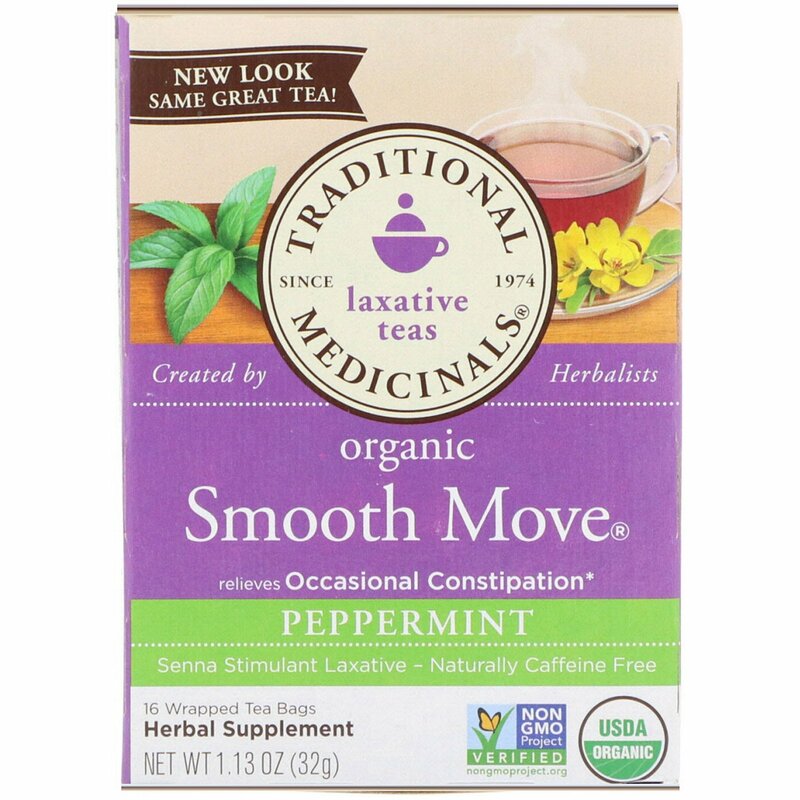 Relieves occasional constipation, generally producing a bowel movement within 6-12 hours. Experiencing a digestive traffic jam? You can lessen road blocks overnight with this senna-based herbal tea. Used for thousands of years to get your "movement" moving again, senna leaf works by gently stimulating your intestines, aiding your body's natural elimination process. Formulated with traditional herbs like peppermint, licorice and fennel to reduce the potential for unpleasant feelings like cramping, Smooth Move Peppermint is best taken at bedtime. Sip and sleep easy, knowing that by morning it will be green lights ahead. Indications: For relief of occasional constipation. 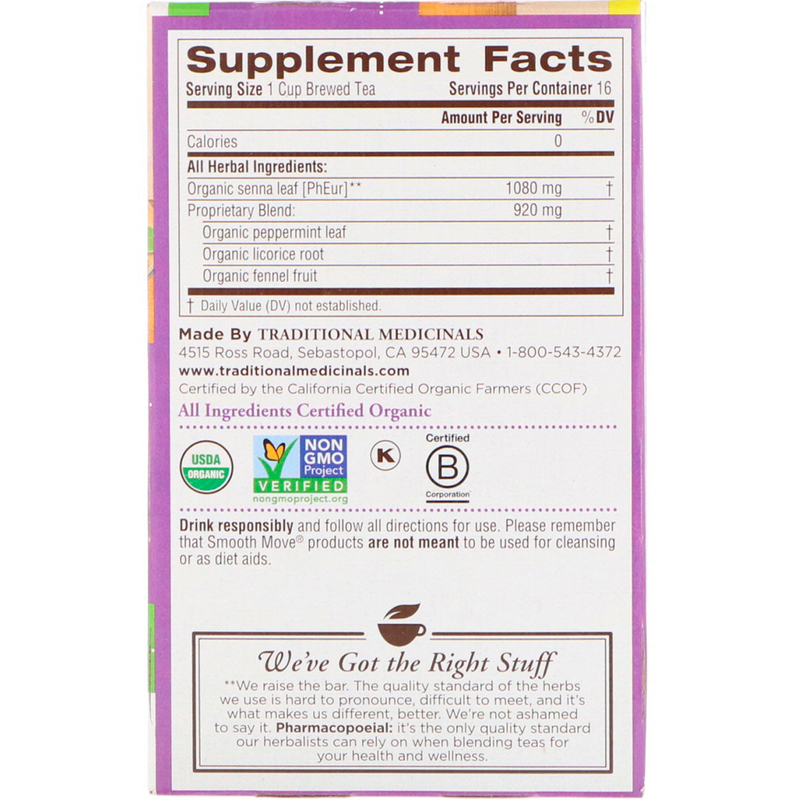 Smooth Move Peppermint generally produces a bowel movement in 6-12 hours. Contraindications: Do not use if you have ileus, intestinal obstruction, intestinal stenosis, atonic bowel, acute intestinal inflammation (e.g. Crohn's disease, ulcerative colitis), appendicitis, abdominal pain of unknown origin, severe dehydration states with water and electrolyte depletion. Do not use if you have known allergies to plants of the Apiaceae (parsley) family, such as fennel.